Governor of Hawaii David Ige had a Muffley moment earlier this month. The Hawaii Emergency Management Agency had just pushed out a false ballistic missile alert on cellphones and airwaves. Ige was informed of the mistake within 2 minutes. But it would take 38 minutes for a public correction. The alert system, it turned out, had no cancellation option. How, Ige might have wondered like Cold War satire Dr. Strangelove’s hapless US President Merkin Muffley facing the prospect of nuclear armageddon, was it possible for the thing to be impossible to untrigger? The answer: It was a government system. This also explains why the error was made in the first place. It was user error, certainly—but with the generous help of what has now been revealed to be a terribly designed user interface. Images of similar interfaces were later circulated, some from the governor’s office. They show layouts that would be uncomfortably familiar to anyone who remembers websites from the 1990s—or who has reason to spend time on government websites today. Therein lies a lesson. The Stanford Web Credibility Project has confirmed what most people today who have access to the internet intuitively know: The design of a website affects how, and how much, people use it, and how much they trust it. For a company, this affects the bottom line. For governments, the stakes are much higher. It is now over two decades since e-government became a buzzword. It was an aspiration at the time. It is now a reality, following the digital tilt of economic and functional interactions in every other sphere of life. If a government cannot implement reasonably high-quality digital governance systems and the websites that are their public-facing front-ends, this affects both basic governance quality and citizens’ and businesses’ trust in the government’s ability to govern effectively. This holds as true in India as it does in developed economies. E-government here dates back to 1976, if in a nascent form. That was when the Centre set up the National Informatics Centre (NIC). Within a decade after that, it had established NICNET, a national satellite-based computer network that was extended to the district headquarter level by 1990. Two decades later, e-government had evolved from being an internal process to include digital interaction with the public. To keep pace, NIC put out the guidelines for Indian government websites (GIGW) in 2009. If only they had been implemented. In 2016, the Standardization Testing and Quality Certification Directorate (STQCD) audited 957 government websites and found that only 31 were fully compliant. The Madras high court stepped in in February last year, directing all government websites to become GIGW-compliant in short order. An April 2017 department of administrative reforms and public grievances letter addressing this noted with long-suffering understatement that despite a number of reminders to various ministries and departments since 2009, “the response till date has not been that [sic] very encouraging”, with approximately only 100 government websites being compliant. It shows. Visit almost any of them and the government’s failure to learn a lesson it could have had from private sector companies, gratis, shows: When a customer comes to your website, don’t ask him what he wants to know, ask him what he wants to do. Of course, when a company works on its digital model and presence, it does so with an eye on the competition. A Facebook runs hundreds of user experience tests every day because dominant as it is, it still operates in a marketplace. User complaints are taken as valuable feedback for improvement. Government departments operating as monopolies have no such compulsion. Nor is there adequate accountability. GIGW compliance is based on departmental self-assessment. The only inducement is that if departments submit their websites to the STQCD, compliant websites will be awarded a “website quality certification”. This isn’t just about government websites looking pleasant. The Narendra Modi government’s Rs1.13 trillion Digital India programme aims to digitize governance on a massive scale. Three of its “9 pillars” explicitly focus on citizen-government interaction: integration of services and platforms, making it easier for people to carry out tasks like accessing school certificates or making changes in Aadhaar information; electronic delivery of services, whether it’s for farmers or healthcare; and giving people digital access to government information. When these systems don’t work smoothly or websites don’t make it easy to access information, it is the equivalent of denying the promised services or transparency. This doesn’t just cost citizens. It costs governments as well. Look no further than the goods and services tax network’s issues, or the popularity hit to former US president Barack Obama’s signature healthcare reform when its registration websites crashed on roll-out. 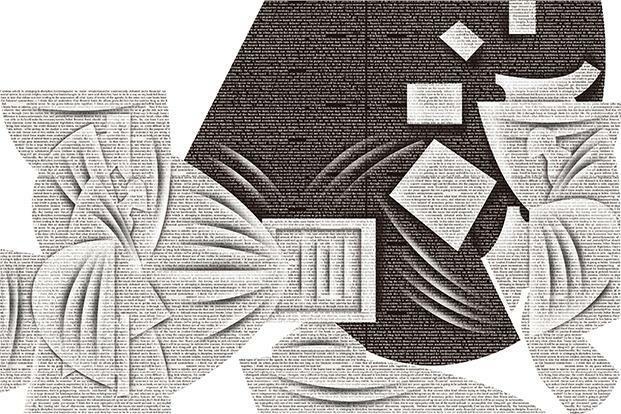 There are admittedly many hurdles to e-governance in India—poor internet access and speeds, lack of literacy, a large number of languages, low awareness. But they are not insurmountable. Businesses are coming up with innovative digital solutions. The government, driven by weightier motives than profit, must do a great deal more to keep up.